Germany's economy shrank by about 0.5% in the final quarter of 2012 as the eurozone crisis took its toll on exports and investments. And annual growth this year is likely to be weaker than last. Dragged down by the poor fourth quarter, gross domestic product in Europe's biggest economy grew by just 0.7% in 2012, the Federal Statistics Office said Tuesday, down from 3% the previous year. Last year's economic performance is the weakest since the depths of the financial crisis in 2009, and well below Germany's 10-year average annual growth rate of just over 1%. Exports grew by 4% in 2012, about half the rate of 2011, and investment in industrial machinery declined by more than 4% after growing for the previous two years. Germany's central bank warned in early December that the economy may contract in the fourth quarter of 2012, and possibly slip into recession at the start of this year if the economy shrinks again in the first quarter. But more recent business confidence indicators have suggested Germany may avoid the recession affecting much of the rest of the eurozone. December's purchasing managers index published earlier this month showed the country's services sector grew for the first time in five months. 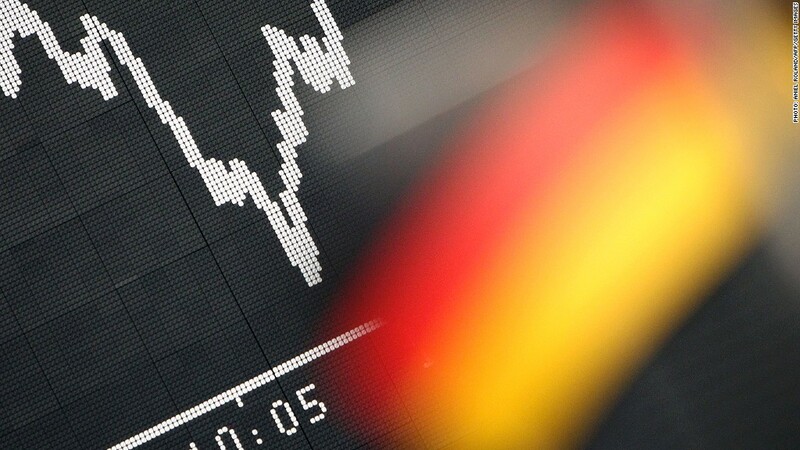 "On its current trajectory, the forward-looking survey data imply the contraction in the fourth quarter of 2012 will most likely be short lived, with the German composite PMI in December for example consistent with flat quarterly German GDP," said Nomura economists in a note. Still, a notable recovery is unlikely until the second half of 2013. Germany's central bank is predicting annual growth of just 0.4% this year, and the German government is due to publish its own revised forecast Wednesday. Business newspaper Handelsblatt and other media reported Tuesday that the forecast for GDP growth this year would be cut to 0.5%, from 1% in November. The economics ministry declined to comment. Germany is the world's fourth biggest economy and accounts for about 28% of eurozone GDP. Despite the slowdown in growth in 2012, Germany managed a budget surplus of 0.1% of GDP, reversing a deficit of 0.8% in 2011. This is only the third time in 22 years Germany has recorded a surplus.